Frida Catlo was one purr-fect painter! Meet one of history’s greatest figures in this adorable board book with an animal twist! Famous Meowxican painter Frida Catlo was a pioneer for female artists. She always painted from the heart, even in the face of health problems and personal struggles. 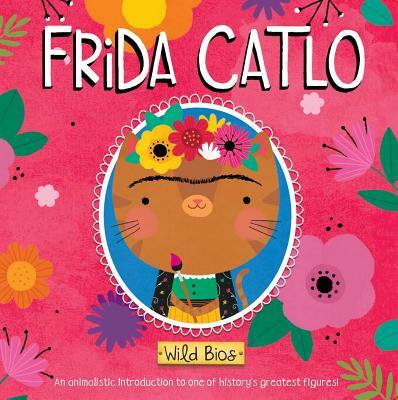 With hilarious puns and colorful illustrations, this book brings Frida’s legacy to life for babies and parents alike!